I like it where it says; www.ruckstel.com, in small print. Darn, my eyes are really bad! Mike, your eyes are sure better than mine. Your going to cause all use old farts to go blind, looking for that . but you did make me get up and go look at the box . Good one Mike, I had to look again the picture myself. Yeah, no WWW. However, the _ . 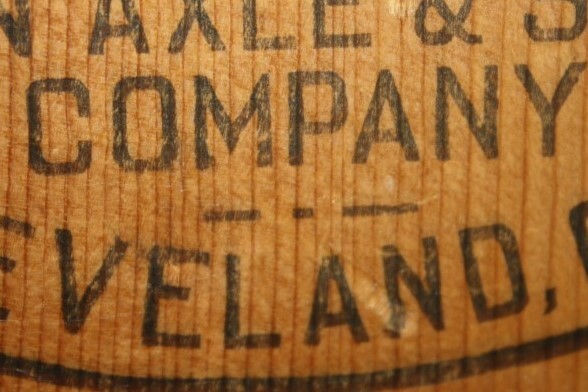 _ under the word "COMPANY" is Morse Code for K. Does that mean anything? Wow. Why can't I find yard sales like that?! Neat, Donnie. 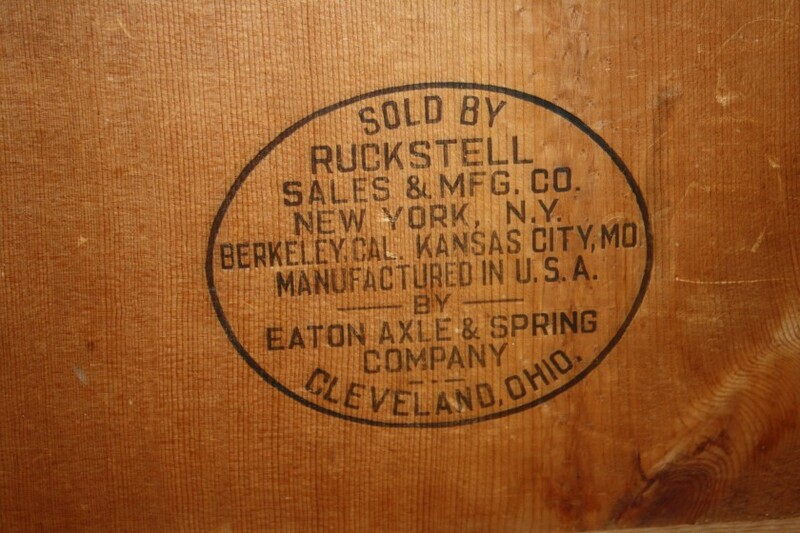 I just picked up an original Ruckstell Lubrication, Adjustment, and Care manual, printed in 1926. It isn't a reprint. I haven't seen it reprinted from any of the vendors. It still has the original owner's name written in pencil on the front cover. Mike, you got us all! I fell for it too! LOL..maybe that _._ was the beginning of bar codes! Sure was a neat find. And it was made right next door to me, just 60 miles away! I saw one once before, but it was before Eaton, and said Montgomery Ward & Company. If the parts were still in the box, I would consider it a great find. 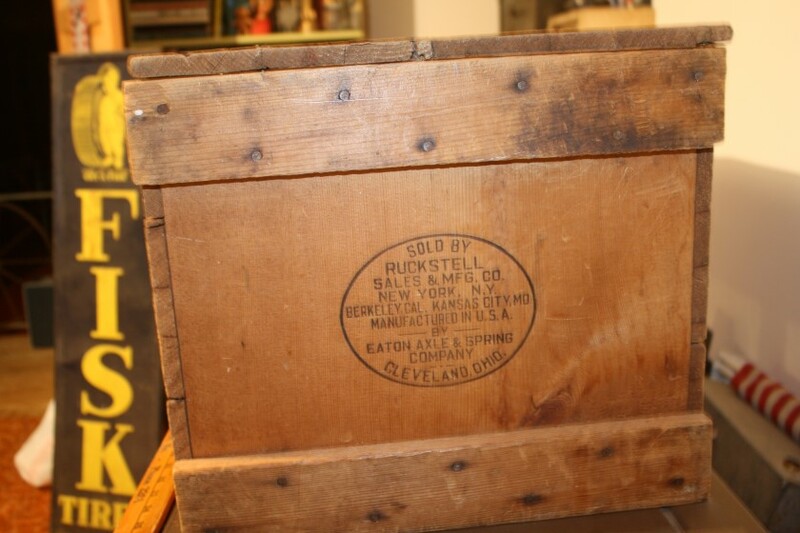 The box itself might be good trade material at a swap meet?? The first thing I ask at a garage sale is where do you put the model T parts? Folks laugh and say things like the guy just before you bought them all. Others say they have a horn, tail light or something else in the house. From time to time something is bought you would like to have! Usually there is ten junk sales but the next one is a gold mine. The first trick is if you snooze you lose. Be there early! That is neat. There was one on Ebay a year or so ago. Not as nice as this one though. That is tight grain wood. what a find.Probably aint 10 of them left in the world and if so,probably most are in worse shape for being used as toy boxes or tool boxes. Great find Donnie! Its a wonder the crate didn't wind up as a junk collection box or out behind a garage and just rot away. Speaking of garage sale finds, when I was looking for a nice right rear fender for my Grandfathers 24 Coupe restoration I had looked for almost 2 years for a good one with no luck. I received a call from my sister about a yard sale about 5 miles from me that advertised they had some old car parts besides everything else. I went the next day thinking I would just stop and make a quick run through and leave. I got out of my truck and on the ground next to the house was the fender I needed! It had come from the Ford dealership that moved to a different location. It was a NOS fender that I got for 125.00. Talk about luck. Donnie. it certainly cleaned up well. It must be a lot of fun to have it. Thanks for sharing the pictures. 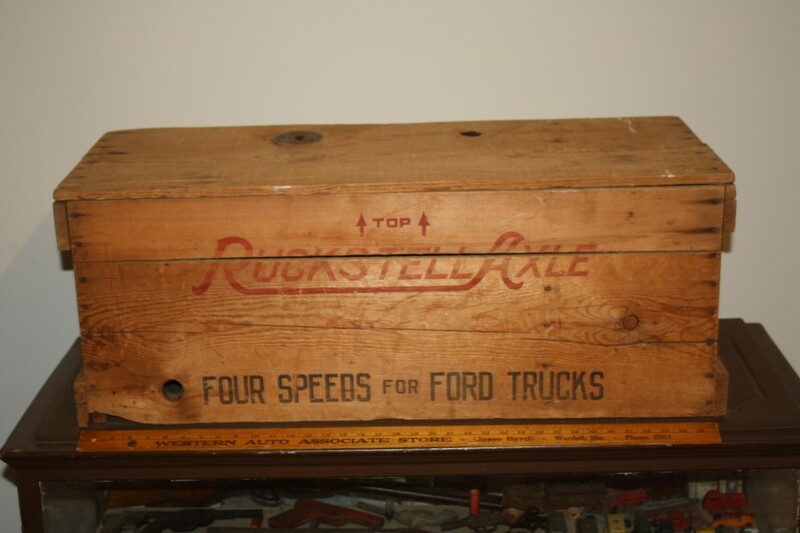 Seems to me that that box is worth about as much as a Ruckstell. What a find. And John Kuehn...they must have known what that fender was worth...for a garage sale I would have thought $20. Is the Eaton Axle and Spring Company the same that became just Eaton that manufactured transmissions? 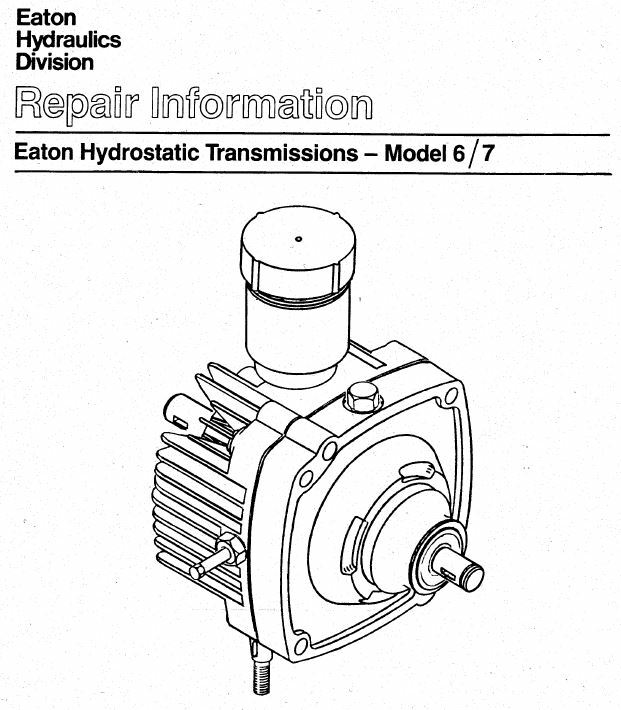 I have two Eaton hydraulic units in a ZTR mower and they are an amazing design. One side of each unit is the hydraulic pump and the other side is a hydraulic motor. Each unit will run forward or reverse independent of the other. The Coupe fenders are a little harder to find than the ones for a Touring or Roadster. That's why I bought it. I did run across a few that were usable but they were bent up or rusted out. The one I bought didn't need anything but a repaint and that was it. It still had the original paint on it and scratched. It was really nice. Better than a new Rootlieb for 400 plus dollars at the time. And the repos that Rootlieb makes don't have the brackets.